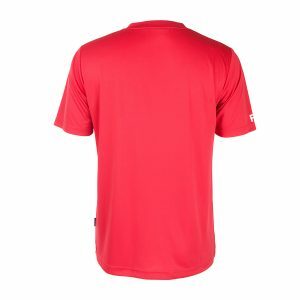 Bronx Jr Polo has a strong red color and an innovative new print. 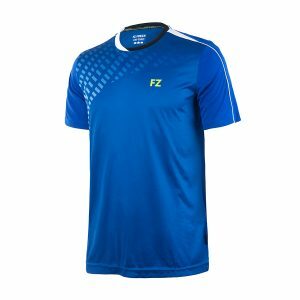 It makes you stand out on the badminton court, very comfortable to wear. 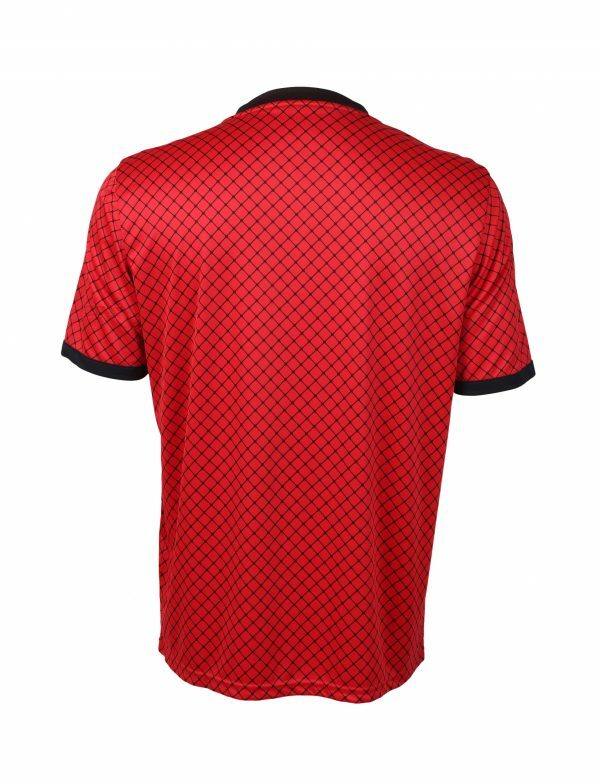 Red with a black diamond check front and back, small black collar and trim on sleeves. 100% Polyester. Interlock w. DryForze. 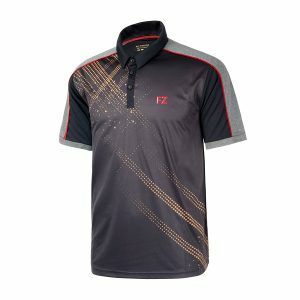 Be victorious ion styles from this clothing series designed in traditional colours, but with innovative new prints and cuts making the styles one of a kind. 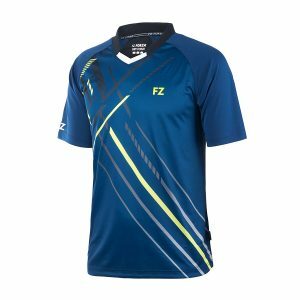 Embossed print, prints inspired by the badminton net, a new crossed neckline and asymmetric prints creates this victorious clothing line. 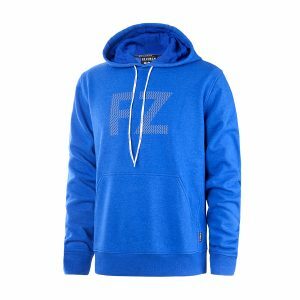 Mite unisex hoodie with Kangaroo front pocket. 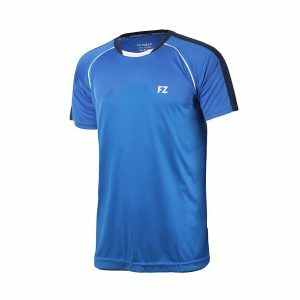 Surf the Web blue with FZ on chest. White draw string on hood. 65% Polyester, 35% Cotton. Cotton isoli. 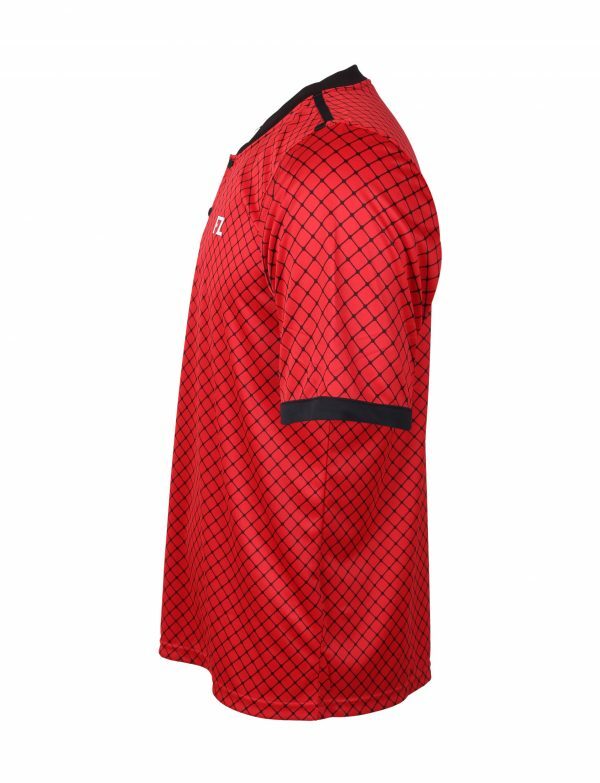 Meno jr polo shirt. Surf the web blue body, white and black trim. 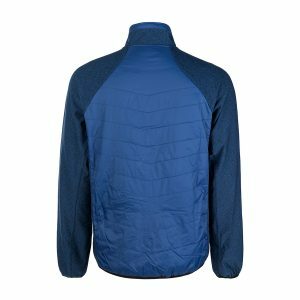 Lowell unisex padded badminton jacket. Surf the web blue outer, safety yellow lining. 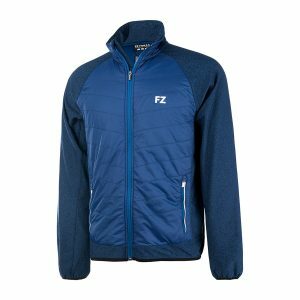 Elasticated toggle draw string on hood and full length zip opening at front. Zip pockets at the sides with breast zip pocket on inside. Ajax jr shorts. 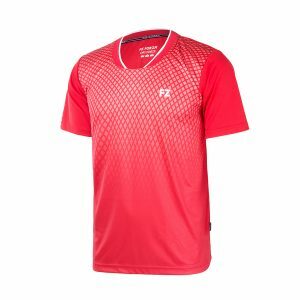 Light weight material, comfortable to wear. Available in traditional back and white. Gaba junior Tee shirt, electric blue with white and black trim. 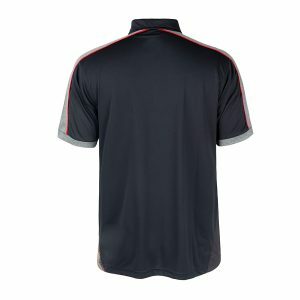 Saco jr polo shirt with collar, peacoat grey, with red trim and gold print. Player junior Jacket. All in Estate Blue. Front body quilted for extra warmth. Stand up integral collar, Two side zip pockets and full length zip opening. Sleeves and Back 92% Polyester and 8% Elasthane. Lining 100% Bird eye polyester. Sail junior tee shirt. Chinese red with white trim at neck. 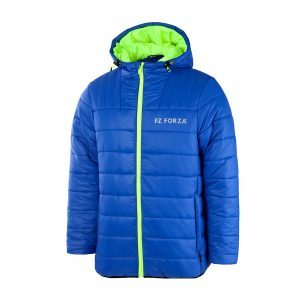 Forza Laban jr jacket. 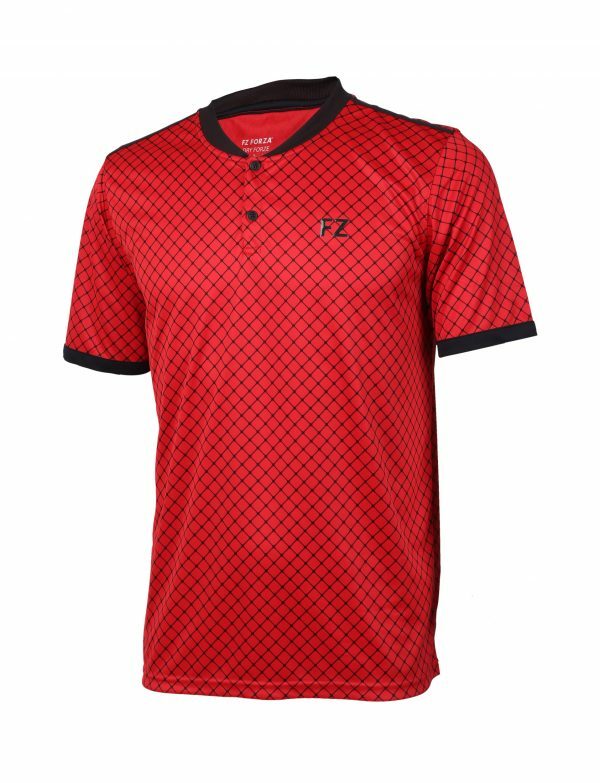 Chinese red, with black trim. 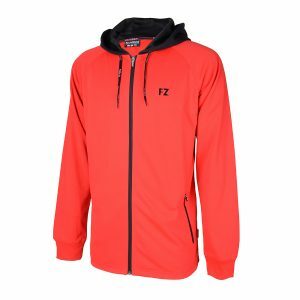 Hood with draw string, full length zip front opening.